Without the Moon, there would be no life on Earth, French scientists claim. 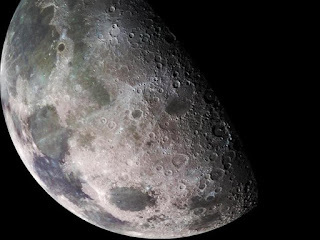 The gravitational push-pull of the Moon on iron deep inside Earth keeps it hot and molten. And a liquid core is needed to generate a magnetic field, which forms a protective shield against blasts of particles from the Sun. Denis Andrault from Blaise Pascal University in Clermont-Ferrand, France, and colleagues propose the Earth's heated interior should have dropped by about 3,000 ºC over the past four billion years or so, but has instead remained almost constant – all because of the Moon.